Tucson, Arizona is like the rest of the country as it’s in the midst of a stagnant and poor economy. If you or your family are facing tough economic times it may be a good idea to seek out the assistance of a debt relief expert in Tucson, Arizona. Plus, we offer Free Bankruptcy Consults in Tucson at My AZ Lawyers. Some of the most affordable bankruptcy assistance in all of Tucson and throughout Arizona. Seeking a cheap bankruptcy lawyer, we are the Tucson based bankruptcy law firm to assist you in your quest. My AZ Lawyers is comprised of experienced attorneys who are dedicated to helping people throughout Tucson, Southern Arizona, Marana, Sierra Vista, and people in Pima County area with serious and stressful financial situations. Furthermore, our Tucson Bankruptcy Law Firm offers comprehensive legal representation in multiple areas of Arizona bankruptcy law including: debt relief, debt settlement, stopping foreclosure, avoiding judgements and liens, chapter 13 bankruptcy, chapter 7 bankruptcy, general bankruptcy law, and debtor/creditor relations. Call today for free bankruptcy consults. Additionally, our experienced bankruptcy lawyers stand ready to answer your questions and offer you individual assistance and experienced guidance regarding your bankruptcy and debt relief options. To schedule a FREE bankruptcy consults with our Tucson Bankruptcy Office, give us a call now at 520-307-0020. 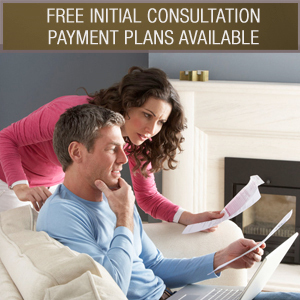 We also offer no hassel, no obligation, consultations. As well as, affordable pricing plans.